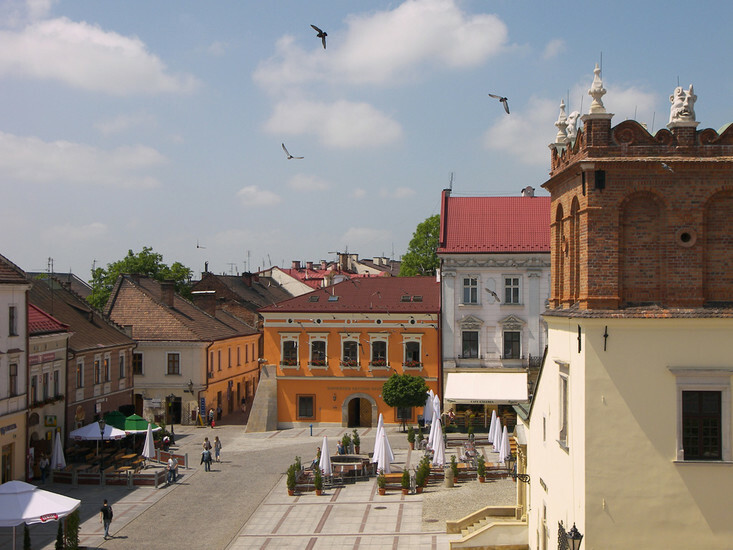 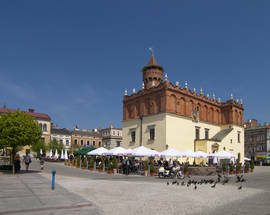 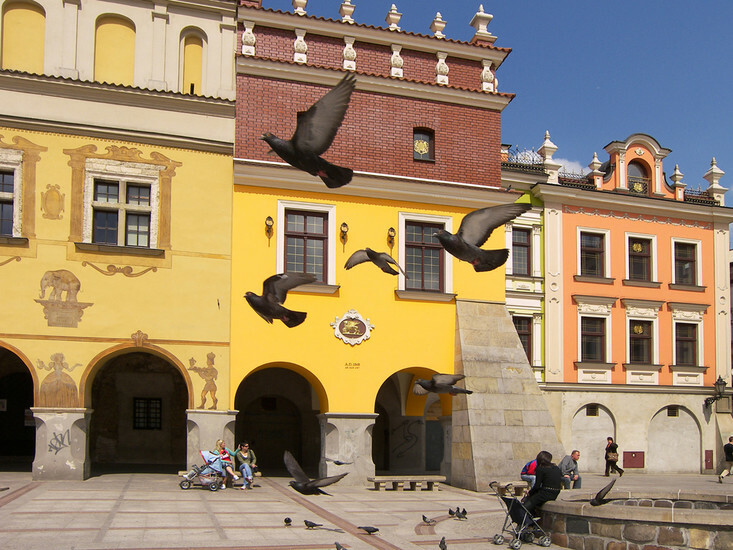 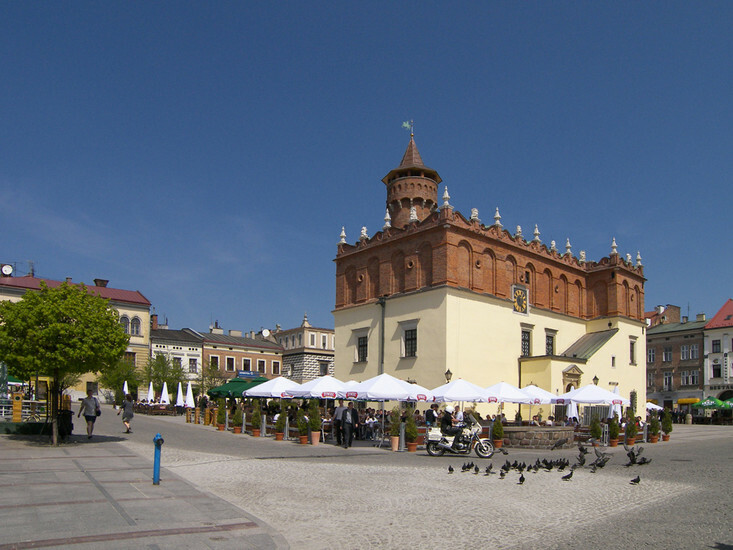 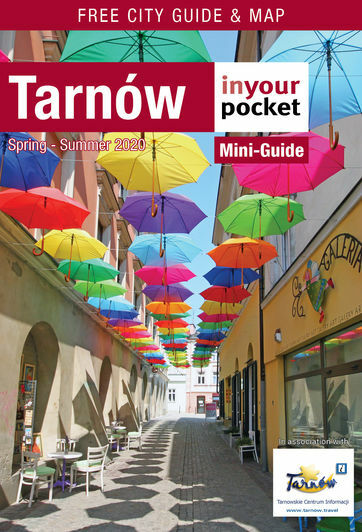 The centre of the city's social life and business trade since early times, Tarnów's market square was conceived in the early 14th century when it was laid out on a sandy hill surrounded by a lower loop of city walls and defensive towers. 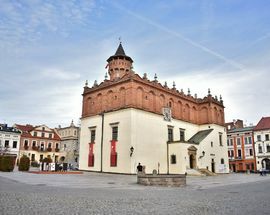 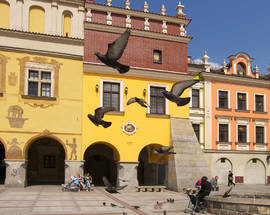 Although the defensive fortifications no longer remain (with the exception of a few fragments), the medieval layout of the Old Town remains intact to this day, with its latticework of narrow streets leading to the open plaza of the Rynek, with the Ratusz (Town Hall) at its centre. 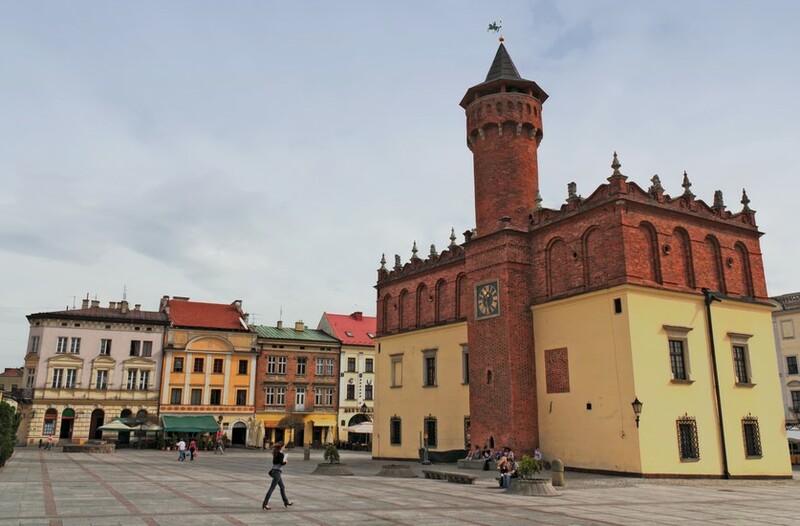 Measuring 74.5 by 89.4 metres, Tarnów's market square includes two reconstructed medieval wells in the north-east and south-west corners, and is surrounded on all four sides by fine Renaissance merchant houses dating from the 16th to the 18th century. 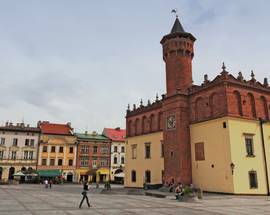 Today these buildings host various cultural venues, museums, restaurants and cafes, and in the spring and summer the Rynek comes to life with tables and chairs from the businesses lining it, and has a warm and welcoming appeal. 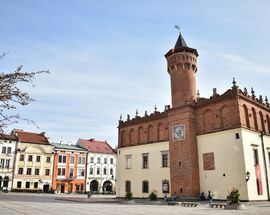 At its centre stands the Town Hall, a lovely 15th-century building originally constructed in the Gothic style and remodelled at the end of the 16th century in a classic Renaissance manner, topped off with gargoyles and a 30m tower from which Tarnów’s ‘hejnał’ – a short traditional melody – is played every day at 12:00. 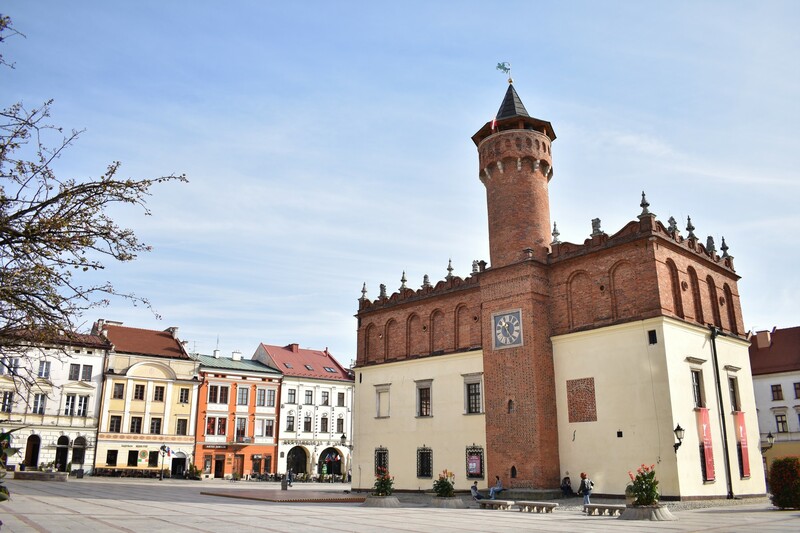 Rather amusingly, 12:00 depends on which side of the building you're on, as the time displayed by the Town Hall's two clocks (located just below the tower) differs by two minutes. 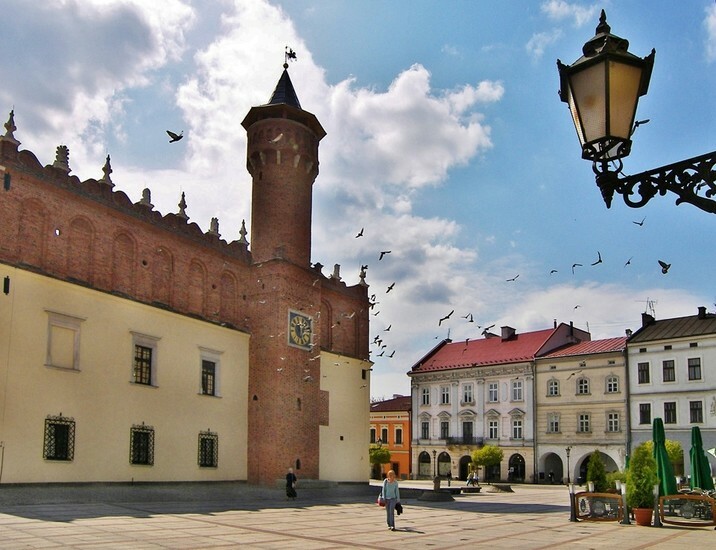 This can be forgiven however, when one considers that the manually wound clock - whose 10-metre shaft spans the entire building - has otherwise operated flawlessly without being modernised since the 1600s. 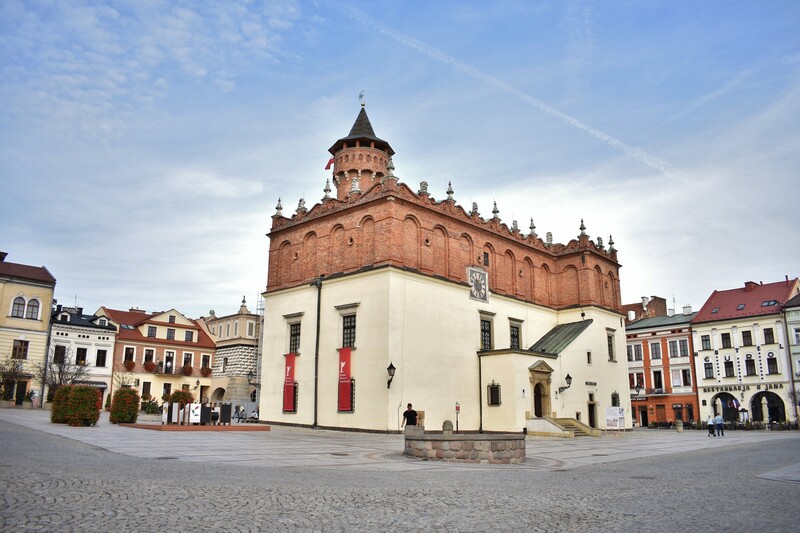 Today the Town Hall is accessible as a branch of the Tarnów District Museum and worth a visit.